October 2015 Client of the Month- Juan Carlos Acajabon Mendez, Provisional Waiver and Visa Granted! 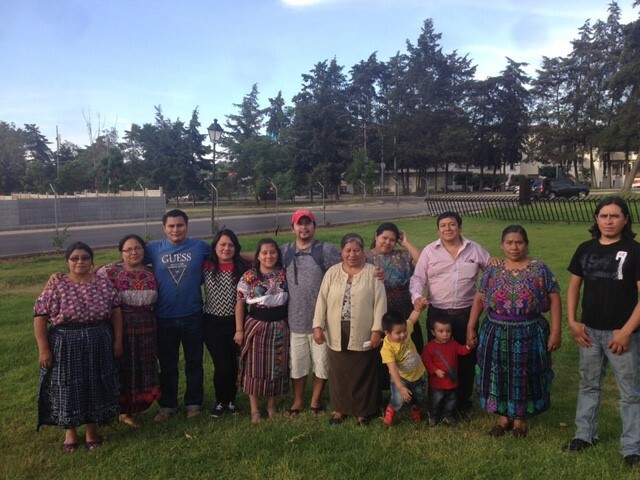 Carlos (in the red hat) with his family in Guatemala. Our client of the month for October 2015 is Juan Carlos Acajabon Mendez. After receiving an approval of the I-601A provisional waiver, Carlos recently returned from Guatemala, where he received his immigrant visa and entered the U.S. as a permanent resident after more than two decades of living without status in the U.S. Carlos is the most recent BR client to receive an immigrant visa under the I-601A Provisional Waiver program, which permits individuals with approved immigrant relative petitions to seek a waiver of their “inadmissibility” (due to unlawful presence in the U.S.) prior to departing the U.S. to seek an immigrant visa at the U.S. consulate in their home country. By permitting stateside review, the provisional waiver program has eliminated the great uncertainty and risk in seeking an unlawful presence waiver, which in the past had to be sought at the consulate outside the U.S., and which, if denied, could result in a ten year bar to returning to the U.S. After securing the provisional waiver, Carlos was able to travel to Guatemala for the first time in 21 years – a joyous and tearful reunion with his mother, his brothers, sisters, aunts, uncles, cousins, and neighbors he hadn’t seen since he was a teenager – with the certainty that he would not be barred from returning to his wife and son in the U.S. because he had obtained a 601A provisional waiver and would enter the U.S. as a permanent resident. Carlos had no trouble meeting the extreme hardship and discretionary standard to obtain a provisional waiver: he came to the U.S. in 1994 hoping to find work so he could continue to support his struggling family in Guatemala, a country that has faced poverty, crime, and government corruption for decades. In the twenty-one years since he arrived, Carlos worked in construction and carpentry, met and married a U.S. citizen, helped his wife manage and overcome her own family’s challenges, became a father to a sweet little boy, and developed a close network of family and friends in their community, where he often volunteers in neighborhood safety and beautification projects. Carlos is known to all to be hard-working, caring, kind, reliable, and responsible – no one could deny he deserves the rights and privileges of permanent residence. We have no doubt that Carlos will continue to serve this country as the finest example of hard work and generosity, as he begins this new chapter in his life with his family in the United States. Carlos was represented by Jennifer Cook, Satsita Muradova, and Ava Benach. Great job and thank you for all the hard work for helping Carlos and his family with a great blessing for his green card approval .May the LORD Jesus Christ bless you and your firm .I am very proud of you as a very caring lawyer having compassion and kindness and dedication to help immigrants families to achieve their american dream . Thanks again for your hard work .God bless and have a great week end. Thanks! We are honored to do this work!